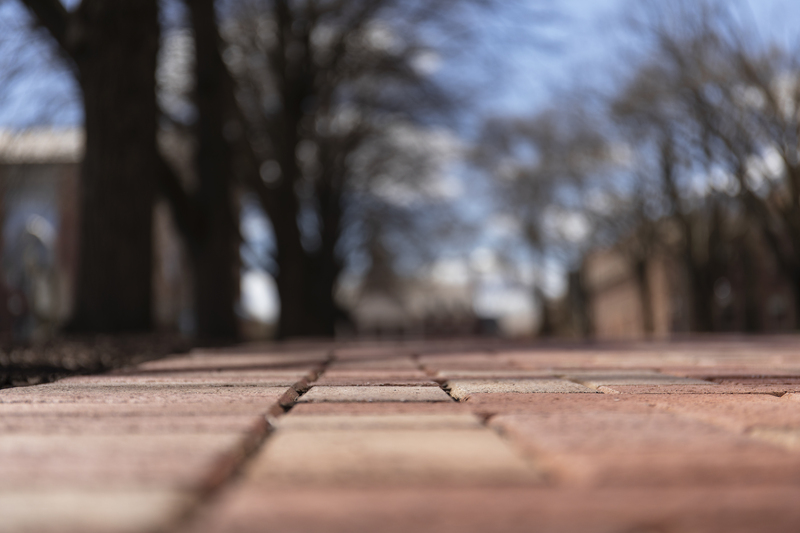 The college has received a $1 million grant from the state of Pennsylvania which it will be using to renovate sidewalks on and around campus and improve pedestrian safety. This comes after the college received $1.4 million from the state in 2016 for the same purpose. Lafayette applied for the grant in partnership with the city of Easton in an ongoing “town-gown” initiative to pursue projects that benefit both the school and the city, according to Executive Director of Foundation, Corporate and Government Relations Maurice Luker. Many of the improvements will be focused on the intersection of High Street and Cattell Street. Students and Easton residents use the busy crossing to access Wawa, as well as the many houses, churches and schools that lie east of Cattell Street. “During the process for the [McCartney street dorm construction approval by city council], on a couple occasions the condition of the sidewalk on Cattell and the High Street vacant lot was brought up, and the shared concern between the city and the college that crossing Cattell is not an easy task,” said Vice President of Finance and Administration Roger Demareski. The new plan for the intersection, which is being managed and implemented by the city of Easton, includes curb extensions to reduce the time pedestrians spend in the road, new boulevard lights, new sidewalks and a push button at the crosswalk to alert drivers. Demareski noted that there have been safety concerns surrounding the intersection for years. In 2010, a then-77-year-old man named Vincent Viscomi was struck by a car at the intersection, leaving him in critical condition. Although none of these petitions were successful, school officials are hopeful that the imminent improvements to the intersection will make it safer to cross. This is the second time that the college has received the grant. Luker said the projects from the initial $1.4 million grant, received in 2016, are currently halfway done. “On High Street, in front of Markle and Kirby House there’s a new median strip with plants and crossing, new sidewalk, that was part of that initiative that received state funding in 2016,” Luker explained. The second half of the project will include adding similar new medians and crossings and renovating the sidewalk on North Third Street, near the Williams Arts Campus. Luker said that the long-term goal of the project is to increase accessibility and mobility around campus. “Eventually we want to link these things up and down the hill so that people can walk around more easily,” he said. Construction on North Third Street will begin over the summer, while the improvements to the Cattell Street intersection will occur next spring, as the funding for it is coming from the most recent grant received by the college. The additional money from the grant will be spent on renovating the sidewalks on McCartney Street between High Street and Clinton Terrace as part of the ongoing expansion effort. The grant comes through the Commonwealth Financing Authority (CFA), which is a part of the Department of Community and Economic Development. One of the jobs of the CFA is to distribute funds allocated from the gas tax, which is where the financing for many pedestrian safety projects comes from. The school first applied for the grant in 2015, when Demareski and Easton Mayor Salvatore Panto visited Harrisburg to meet with state officials. In order to receive the grant, applicants themselves must match at least 30 percent of the grant. Both times, Lafayette provided this money. “The city’s got other needs, they’ve got issues downtown, in the west ward, and didn’t necessarily have the available funds, so we…want to be good partners. This benefits the college as much as it benefits the city,’” said Demareski. Both Demareski and Luker highlighted the college’s desire to better integrate with the Easton community, and allow for easier access not just by students, but community members and visitors as well. “This is an ongoing initiative in terms of linking with the surrounding neighborhoods,” said Luker.